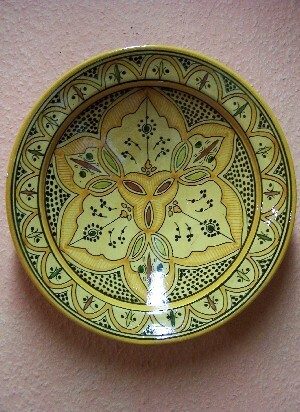 Handmade ceramic plate from Safi. 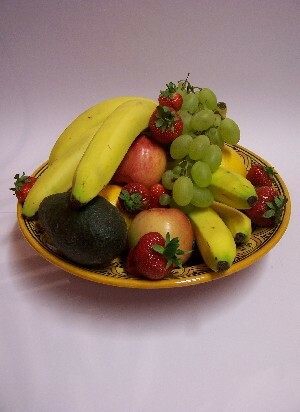 Create an ambient setting with these unique, hand-painted plates. Each piece is attractive, functional and allows you to create a stylish tablesetting with coordinating kitchen accessories. 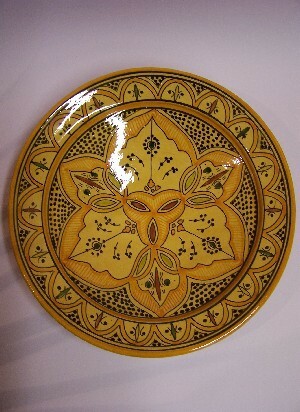 With its elaborate motifs, this handcrafted plate is beautiful enough to display, but also it's durable enough to use every day. Also, the production is pure handwork. 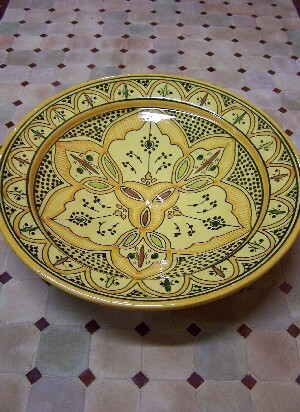 All dishes are made of fired clay and they all are hand-painted in valuable handwork. 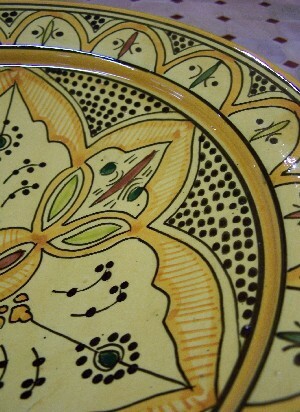 Useful, individually-structured plates and bowls of all sizes, are made in the Oriental and Mediterranean flair. Each item is a „Highlight“ and represents this country of the sea and the people who live there.